SOTI names Inovity as its 2018 Reseller of the Year for North America at the 4th Annual SOTI SYNC User and Partner Conference. Dublin – October 2, 2018 – Inovity, an Atlanta-based business process improvement company and specialty IT systems integrator, has been named Reseller of the Year for North America by SOTI Inc.
SOTI, the world’s most trusted provider of IoT and mobile device management solutions, announced the recipients of its annual SOTI Altitude Channel Partner Awards at SOTI SYNC 2018, the company’s fourth annual global conference for SOTI users and partner. The awards ceremony was held in Dublin, Ireland at the historical Guinness Storehouse on October 2, 2018. 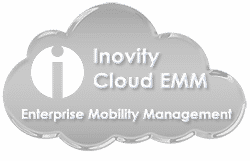 With Inovity Cloud EMM (Enterprise Mobility Management), Inovity hosts and maintains SOTI MobiControl for its clients, eliminating the need for them to set up an on-premises server or manage software maintenance, recovery and backups. As part of Inovity’s Managed Services offering powered by SOTI MobiControl, Cloud EMM allows over-burdened IT departments to manage all mobile devices from one web console while Inovity handles user setup, profiles, device provisioning, rules, package alerts and more. Additionally, with the Inovity-hosted cloud service, clients can register licenses for as few as one single device, greatly reducing the minimum number of devices needed to enjoy the benefits of cloud-based MDM/EMM services. SOTI is committed to delivering solutions that connect the mobile and Internet of Things (IoT) ecosystem for businesses globally, providing them the ability to enable and manage the broadest range of mobile and connected IoT endpoints, users, applications, content, and more. Through the robust capabilities and value of the SOTI ONE Platform, the company’s partners are strategic enablers of business transformation, differentiated customer experiences, seamless workflows, and innovative products and services across industries. Inovity is a business process improvement company and specialty IT systems integrator. By creating and delivering innovative data automation solutions, Inovity can connect and relay crucial business information between all points of operational activity, in real time. Inovity specializes in workforce mobility, visibility and accessibility, along with data connectivity and workflow process intelligence. The company provides automated technology solutions for manufacturing, distribution, transportation/logistics, supply chain and more. Inovity was established as BarCode ID Systems in 1993 and formally changed its name and branding to Inovity on April 4, 2016. Inovity is privately owned and headquartered in Atlanta, and maintains sales and engineering offices in Atlanta, Chicago, Boston, Greenville, SC, Greensboro, NC, Columbus, OH, Huntsville, AL, Ft. Lauderdale, Nashville and Raleigh. With innovation at its core, Inovity improves client productivity, efficiency, agility, connectivity, mobility and visibility. For more information go to www.inovity.com.